Art of the broken hearts…. For me, this is one of the most incredible art installations ever witnessed – and turned out to be remarkable moment for our family. 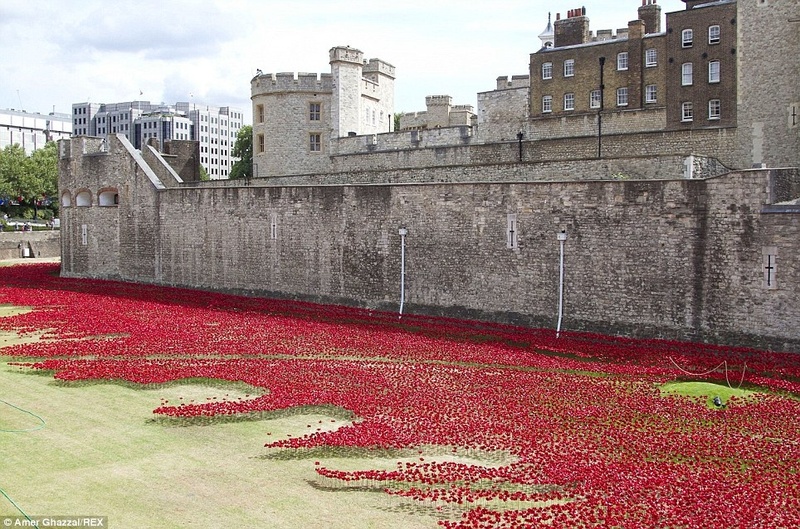 Each ceramic poppy created for the display in the moat at the Tower of London represents every single British and Commonwealth soldier killed in World War One. For our family this marked an incredible journey of discovery. My talented cousin Sophie decided to do her own project; painting a poppy or poppies on a small canvas for exactly 100 days. During this time this sparked a memory of a family tale of a great uncle killed in the war. After some research I discovered we had a great uncle who died in the first world war on home soil. George Herbert Francis was 18 when he tragically died during a tough training exercise in the south of England. Thanks to the brilliant work of a group who photograph war graves we even found a picture of his grave. So thanks to this Tower of London project our relative’s story was unearthed. He was remembered. And now never will be forgotten as part of our own personal family story.